← Sneak Peek: Thanksgiving Gift Basket Gallery! Thank you to everyone who participated!!! We love seeing all your creative name ideas! 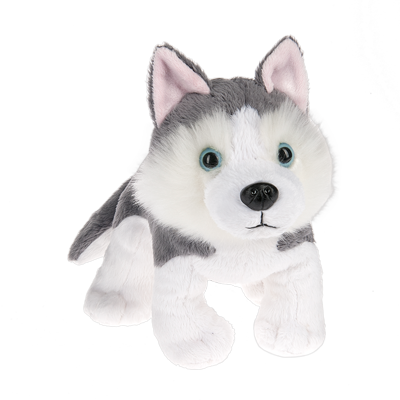 The new Siberian Husky can be found EXCLUSIVELY at Ganz eStore and the Official Webkinz Store on Amazon! What would you name this adorable Ganz eStore pet? Write your answer in the comments below by 11:59pm on Sunday, November 8, 2015 to be entered in a random draw for one plush Siberian Husky or one of four virtual Siberian Huskies! I would have named him Ceasar. I wanted to name him Nix because it’s latin for snow.